It’s just as well we can’t see into the future. 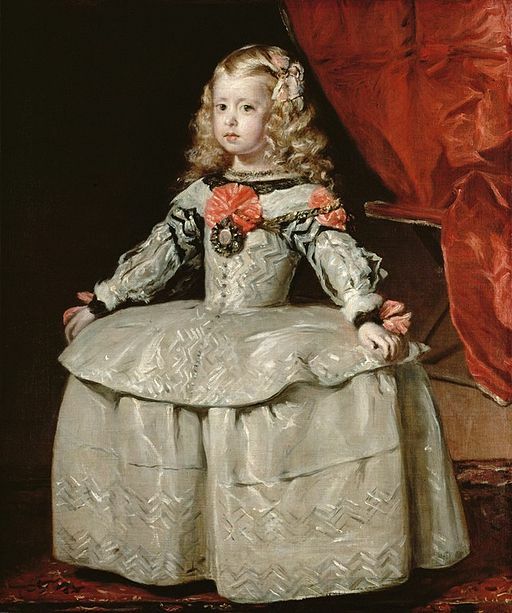 The series of Velazquez portraits of Spain’s Infanta Margarita Teresa are some of the most charming images of childhood ever recorded. Her life was happy, but far too short. 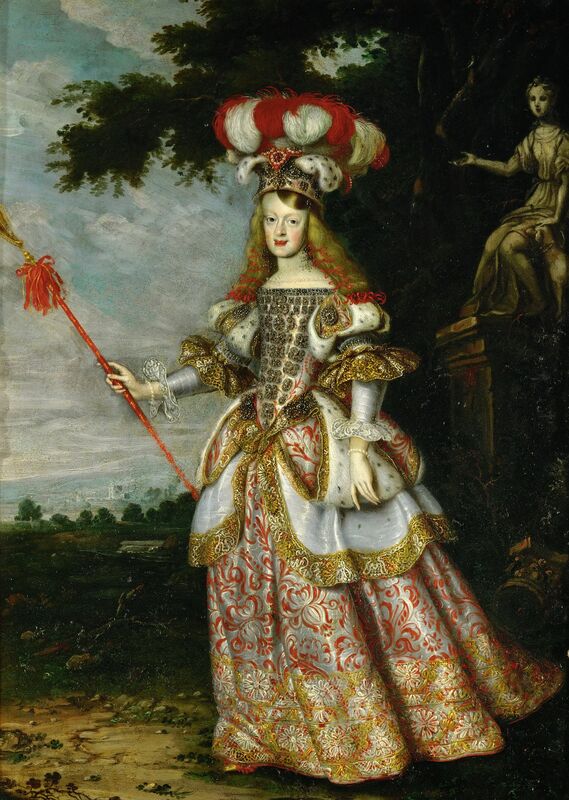 Margarita Teresa was born in 1651, daughter of King Philip IV of Spain and his second wife Mariana of Austria. On the birth of a royal child, the Habsburgs immediately began looking for ways to cement the dynasty. This usually involved intermarriage. Most of us would not consider our uncle AND our first cousin as what we used to call “dating material,” but Margarita had no choice in the matter. As a baby, she was betrothed to Leopold I, Holy Roman Emperor. He was both her maternal uncle and her paternal cousin. (In my family, holidays like Thanksgiving are tense enough, what with all the unaccustomed family togetherness. I can only imagine trying to get through a festive meal of turkey and cranberries with the Habsburgs. At the very least, I think there would be snarky comments. There could be a food fight). Leopold, 11 years older, was more than happy with his prospective bride. To sweeten the pot, her father had made sure that she remained in the Spanish line of succession and would pass on her rights to any descendants. Leopold naturally wanted to follow the progress of his bride as she grew up, and the Spanish court had the great painter Diego Velazquez at the ready. He supplied enchanting portraits of the child as she grew. 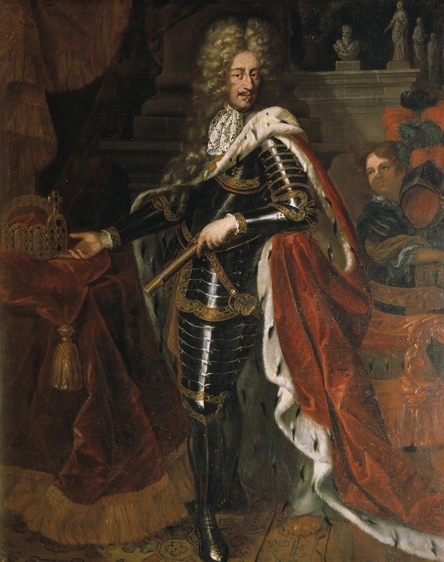 The portraits were sent straight to Leopold in Vienna. The Kunsthistorisches Museum still has them. 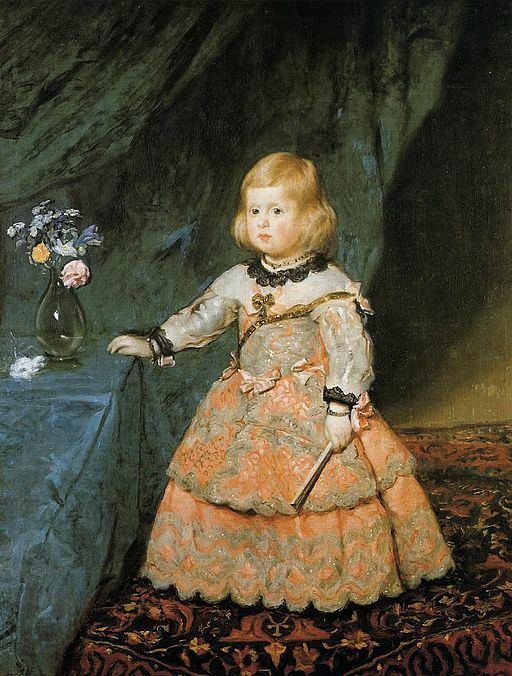 The portrait at the beginning of this article, showing the child at age 2, was the first. The child still had her fair baby hair, fluffy and unstyled. Velazquez painted Margarita Teresa again a couple of years later. She was lovely and serene. She looks a little shy, but she was clearly accustomed to wearing a grand gown and being admired. 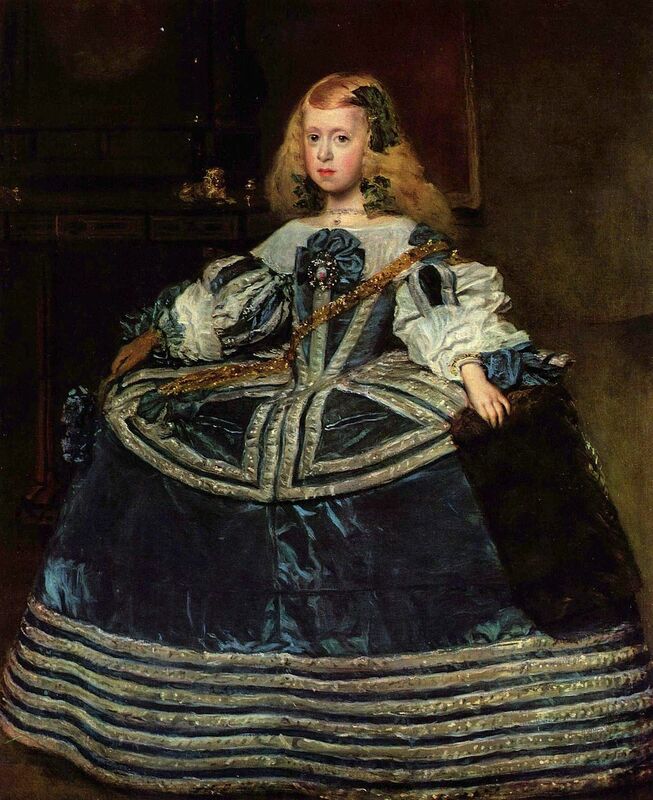 One of the most famous depictions, above, showed Margarita Teresa at age 8, wearing a blue dress. She looks older than her age, and more than a little apprehensive. She must have begun to understand her daunting obligations and her rapidly-approaching future by this time. At age 15, just after the death of her father, Margarita Teresa went off to her destiny in Vienna. A German painter, Jan Thomas, painted her portrait in 1667, when she was 16. To me, she looks stiff and unhappy. Her towering headdress overpowers her slight frame, on which so much depended for her family’s royal succession. She looks thin and pale, too. And why is there a statue in the background, looking over her shoulder and raising a hand as if to ask what she’s up to? The Viennese court was famous for its rigid protocols. I imagine Margarita Teresa rarely had a moment to herself. Yet, in spite of the age difference, she and Leopold reportedly had a happy marriage. Of course the teenager immediately began her child-bearing duties. Margarita Teresa had four living children, plus a number of miscarriages in her young life. Only one child survived, Maria Antonia of Austria. But the years of constant pregnancy had taken a toll. Sadly, Margarita Teresa died at age 21. Never having seen her native Spain again, she was buried in the Imperial Crypt in Vienna. This entry was posted in Art, Artists, Austria, Historical Figures, History, Vienna, Vienna Kunsthistorisches Museum, Vienna Museums and tagged Diego Velazquez, Habsburg intermarriages, Holy Roman Emperor, Jan Thomas, King Philip IV of Spain, Leopold I, Mariana of Austria, Prince Balthasar Charles of Spain, Prince Felipe Prospero of Spain, Princess Margarita Teresa of Spain on July 29, 2015 by Claudia Suzan Carley.